Location: Just east of Parkside East Junction. The site can be reached from a farm track running east from A573 and running parallel to the line. 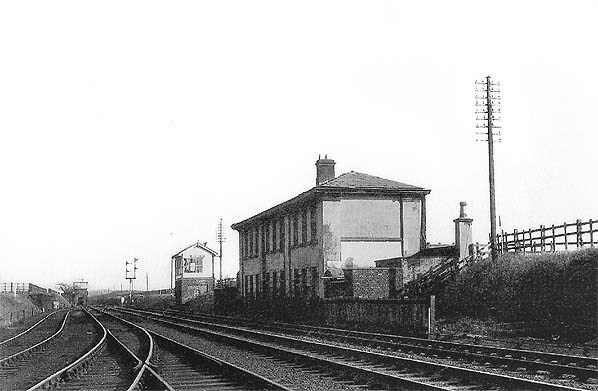 Notes: In 1839 the original Parkside Station was replaced with more substantial facilities than the original station which was nothing more than a small trackside cottage. 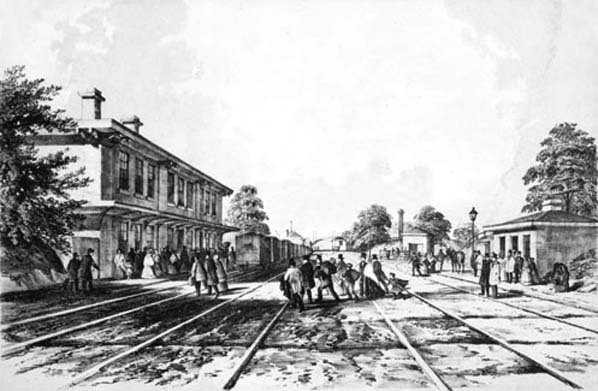 The new station was 17 chains further east than the first Parkside station, and the move was required for the opening of the line from Parkside North Union Junction to Preston. North Union Junction is now Parkside East Junction. The 1949 Ordnance Survey map shows the new station which opened in 1839 but it also still shows the original station as a 'luggage station' indicating that the original station remained in use for luggage. The second Parkside Station shown on this 1849 map. The original station is still shown as a 'luggage station'. The site of the second Parkside Station looking east in 1980. 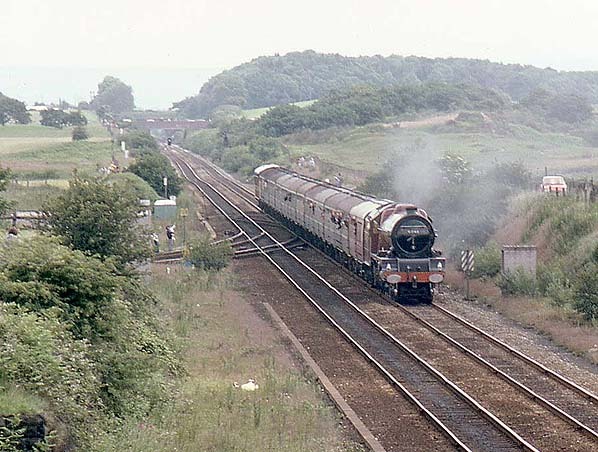 The station was towards the rear of the train just beyond the junction.